On Saturday May 19, 2018 Columbus Children’s Choir presented the 12th annual Voice of the City competition at Fort Hayes Arts and Academic High School in Columbus, Ohio. 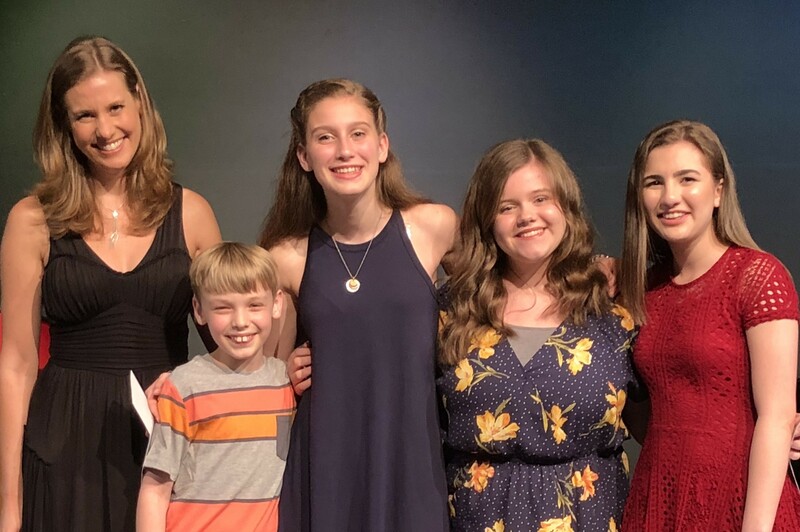 Choir Alumna and Emcee Valerie Accetta helped set the stage and atmosphere for the 35 finalists from all corners of Ohio as they showcased their talent for Judges Nancy Carson, Jackie Urso Comisar, Dr. Chad R. Payton, Dr. Martha Wrenn Tepper, and Dionysia Williams. The evening was full of energy and excellent talent that showed these Ohio youths have what it takes to see their names in flashing lights. Voice of the City is a vocal competition for singers of ages 8 to 18. Contestants auditioned with the song of their choice before a panel of judges. Singers with the highest preliminary scores became finalists for the live show. Finalists had the opportunity to sing in front of New York City talent agent, Nancy Carson. The Carson-Adler Agency has guided the early careers of such unique talents as Lea Michele, Leelee Sobieski, Cynthia Nixon, Donald Faison, Ariana Grande, Ben Affleck, and Matt Damon. Contestants are also eligible to win prizes in their age group, and the grand prize of $1,000. The 2018 Voice of the City age group winners are Tommy Druhan (11), who sang Naughty by Tim Minchin, Sydney MacGilvray (12), who sang Lost in the Brass by Tommy Newman & Gaby Alter, Cameron Jean Bernadette Weldon (14), who sang It Won’t Be Long Now by Lin Manuel Miranda, and Hayden A. Maholm (16), who sang Blue Hair by Joe Iconis. The 2018 Voice of the City Grand Prize winner is none other than Hannah Bank (15), who sang You’ve Got Possibilities by Lee Adams & Charles Strouse.